We’ve all read things that have left us scratching our heads. Even when the language used is simple, the structure or organization of sentences can muddle the meaning and create confusion. 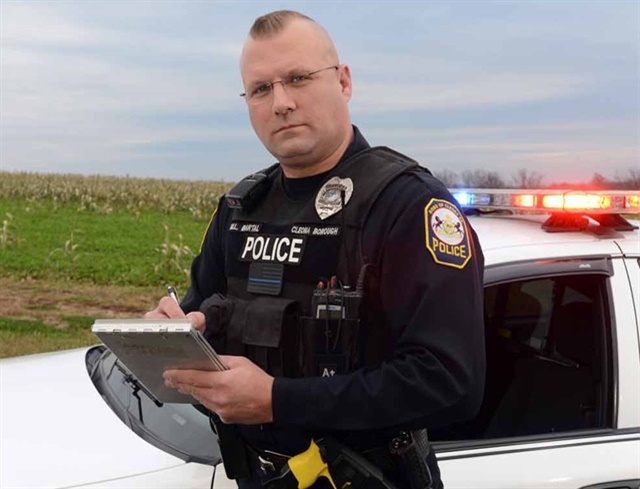 Now imagine that the written word doesn’t accurately reflect what a police officer or investigator meant — and that report is a key piece of evidence in a trial. It’s possible that a poorly written report could lead to a major injustice, with someone being found guilty or innocent based on a misunderstanding. And those first impressions matter. In fact, in many cases, your written work is going to serve as an introduction to you long before you meet the readers in person — if you ever do. In some cases, reporters, attorneys, or other individuals rely strictly on what’s been written down, and never actually talk to you about your findings. Therefore, it’s vitally important that you hone your writing skills so that you make the best possible impression right off the bat. Not only will you gain the respect of others, but you may get the attention of individuals who can be beneficial to your career in the long run. Until recently, many degree programs did not heavily emphasize writing as a program outcome. However, most criminal justice degree programs have begun to implement more training in this important skill as it has become a sought-after skill in criminal justice graduates. Not only are more courses in this field including writing assignments, but specific criminal justice writing courses are being added to the curriculum as well. Not to mention, most college require students to complete a college writing or equivalent course, in which they learn the basics of academic writing, research, documentation, and proper grammar. Therefore, it’s important that criminal justice students take their writing instruction seriously, and not treat it as a requirement to “get through.” Learning these skills is vital to finding success in the field and becoming a leader, and will help ensure you are able to meet the challenges that face you throughout your career. One of the nation’s pioneer online universities, Columbia Southern University was established in 1993 to provide an alternative to the traditional university experience. CSU offers online associate, bachelor’s, master’s and doctorate degrees such as business administration, criminal justice, fire administration and occupational safety and health. Visit ColumbiaSouthern.edu or call (877) 347-6050 to learn more.